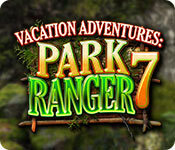 Vacation Adventures: Park Ranger 7 is rated 4.4 out of 5 by 47. Rated 5 out of 5 by techblogger911 from 5/5 for the park ranger series. 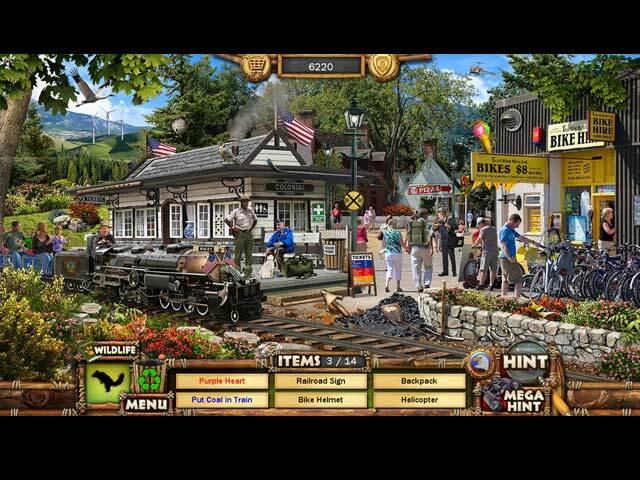 The vacation adventures are for sure enjoyable, I enjoy only a few hidden object games and this one is certainly one of them. There is so many things to explore, it's like the sky is the limit. Every year there is something I look forward to. Rated 5 out of 5 by ddplay from V.A.C.A.T.I.O.N. Time again! Vacation Adventures: Park Ranger games are a favorite of mine and my family. This newest installment is just as much fun. If you like a good camping trip vacation then by all means pack up and get going ! 2 thumbs up ! Rated 5 out of 5 by Sunshine566 from Best game out of all the series I really enjoyed playing this game it was the best in the series. It was challenging and kept my attention. Graphics, scenes, and HO's were excellent. 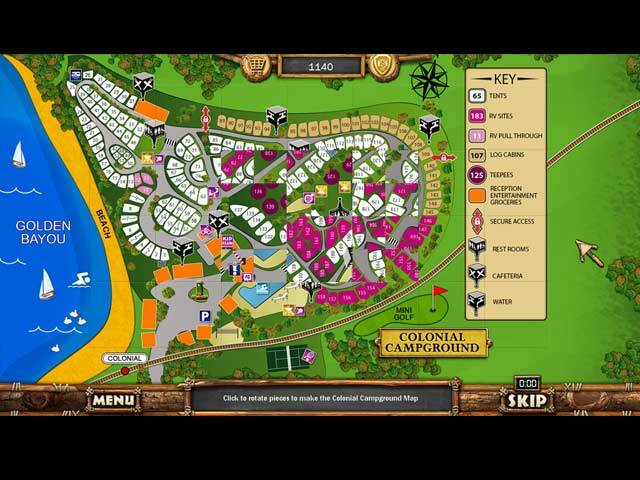 Rated 5 out of 5 by JPBJoel from I love this game so much that I wish I could vacation at Pinecreek Hills! What can I say? Old-school HOG at its best. Nothing - and I mean nothing - comes close to Vacation Adventures. The story line is a soft background element that makes you feel you are progressing through a period of time. They are standalone games, but contain small subtle elements that reward the person who plays the series. The graphics are fine - the music is peaceful, etc. I really do wish I could visit Pinecreek Hills! 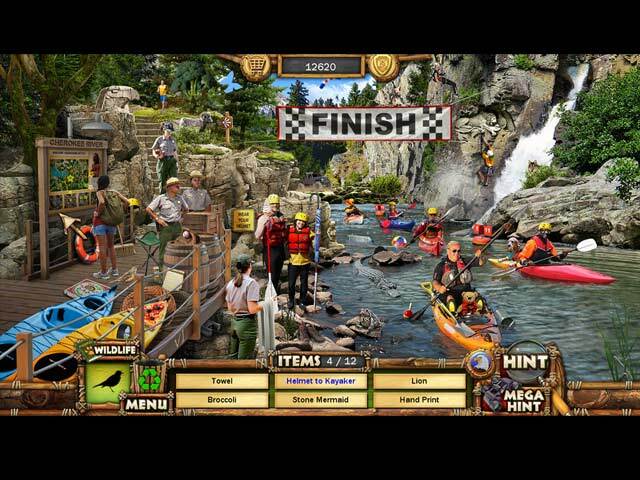 Rated 5 out of 5 by 454lucy from Beautifull graphics and goos storyline I love these "Vacation Adventure" games. I would like MORE "hidden" trash and "Hidden" animals but I like it when we are told how many we are looking for. I also wish there were more than 15-16 HO at each location. They are so much fun to find. I like that it not timed. NO pressure. Just casual fun. Please create more of these. Rated 5 out of 5 by Italia47 from No dungeons and dragons to deal with...a great getaway! I love this genre and the makers of this game. Simplicity at its best! You can just chill, play at your leisure. Some of the HOS are quite small to find but don't sweat it--be patient--you'll find them. The Wild Life Animals and the Trash Recycling are still pretty cool. Yes, it's the same thing each time, but they can be challenging to find at times. Thank goodness I'm not being timed otherwise I'd have to go back and play the scenes again. Speaking of which, if you don't get all the items, you have the option of replaying that segment. I've never had to use the hint button, though, and I'm proud of that fact. It's a very pleasant game with nice scenes--no demons, witches, and black mists to deal with. There are no bells and whistles in this genre but I really enjoy playing these vacation adventure games. The puzzles can be challenging but they are always worth playing and not skipping. I highly recommend this game. It's a keeper! Rated 5 out of 5 by Darklldo from This series never fails They are so enjoyable with very clear graphics and in between the hidden objects scenes, the puzzles are just as entertaining. On top of that we are watching the park growing and developing and getting to know the people as they go about their jobs.. It's a wonderful idea for games that while away the hours and lets you get into a whole new world. Rated 5 out of 5 by flgramy from Great HO game series I always look forward to these Vacation Adventures because of their bright, cheery and fun scenes. I rarely pick out games with dark, dreary, depressing themes anymore. I am tired of games with the occult, other worldly, body snatching themes. These games are uplifting and fun to play. It seems that I am returning on vacation to places that welcome families, where I recognize some staff members and where I always look forward to our stay. I enjoy and always complete the "trash find" first because trash (my pet peeve) seems to be so relevant today and I just wish people would grow up and adopt some responsibility for their locales. These games are relaxing and the mini games are usually not too hard, time consuming maybe. If you haven't tried any of these, along with the Cruise Director series, you are truly missing out. My favorite though is the Park series because it represents the outdoors and its activities so well. One last thought: These games are fine for children also, maybe with a little help at first, depending on their ages. Rated 5 out of 5 by STP162 from wholesome Its rare to find a game that is fun to play that has no magic, evil people and destroying. This was adult level with a great theme. Hope they keep comin' I'll buy every one of them!